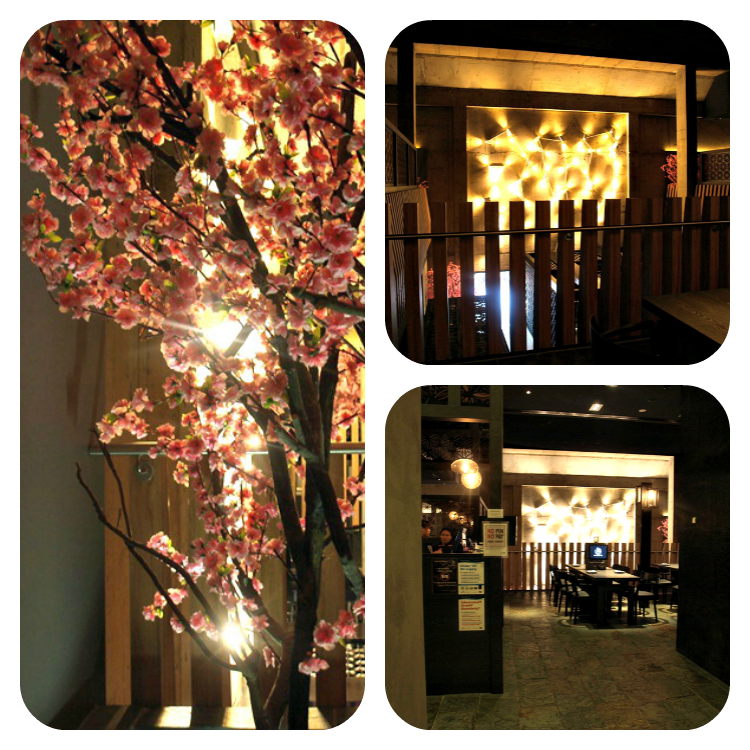 Charlie & Co. dinned as guests of SD Marketing Global and Wagaya. 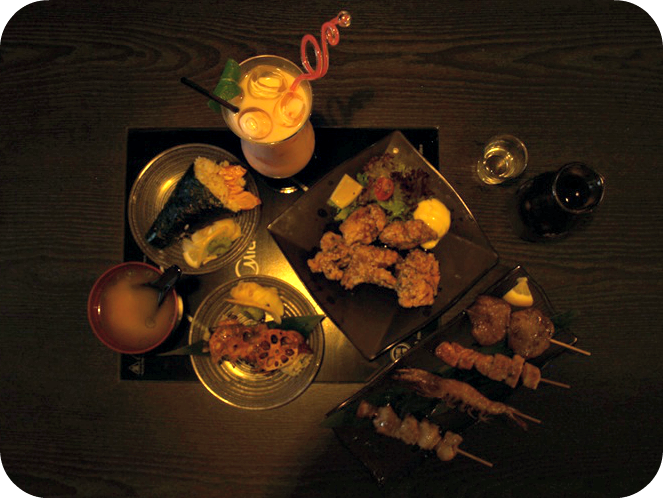 This week's food adventure is bought to you by SD Marketing Global and Wagaya. 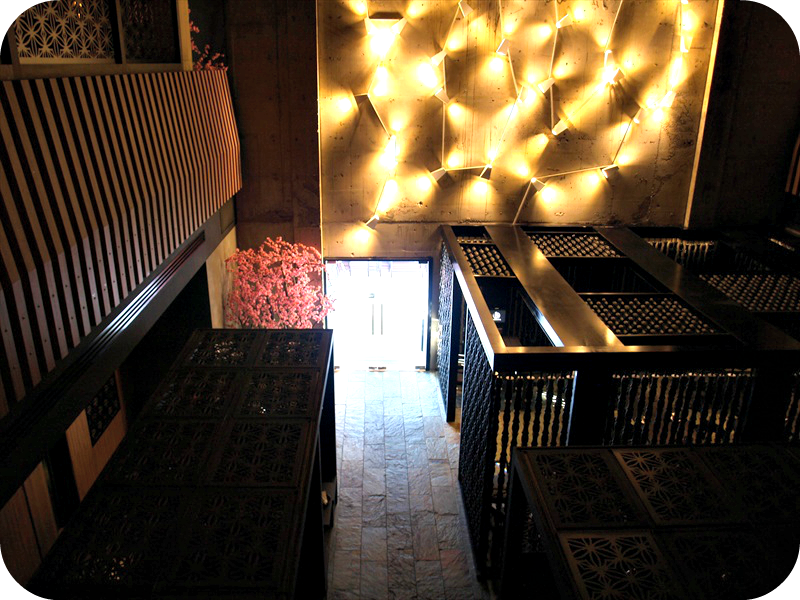 Hidden upstairs (well an escalator and lift right at the back of the building) in the MidTown Building between Breadtop and 7/11, Wagaya is hard to find as Jas discovered. I may have cheated and read Mon's instructions on how to get there. But at the end of this post there's a picture walk through. Upon arrival we were greeted in Chinese. Which leads me to assume that it's a Chinese operated Japanese restaurant? A bit of research and the owners are a Japanese & Chinese Couple. Someone must have forgotten to switch languages, I do have friends who when they're speaking to one person and then to me they forget to change languages. Wagaya means our home in Japanese, one door and so there's only one entry to the restaurant (other than emergency exists) and the door to the balcony is not also a door to the outside world. There's two areas, upstairs and down. 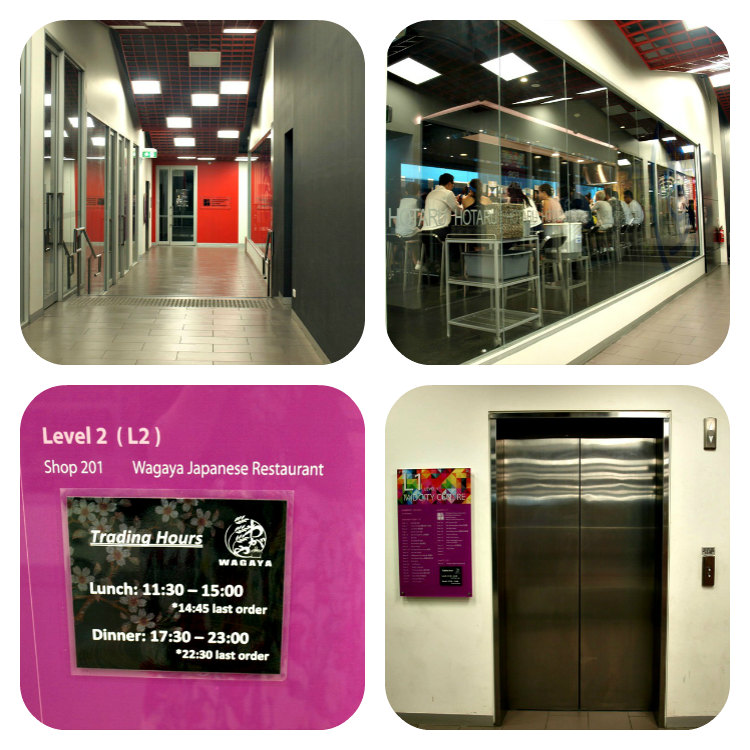 Downstairs is only used during lunch and both areas are open on the weekend. For weekday dinners you'll be dinning upstairs. 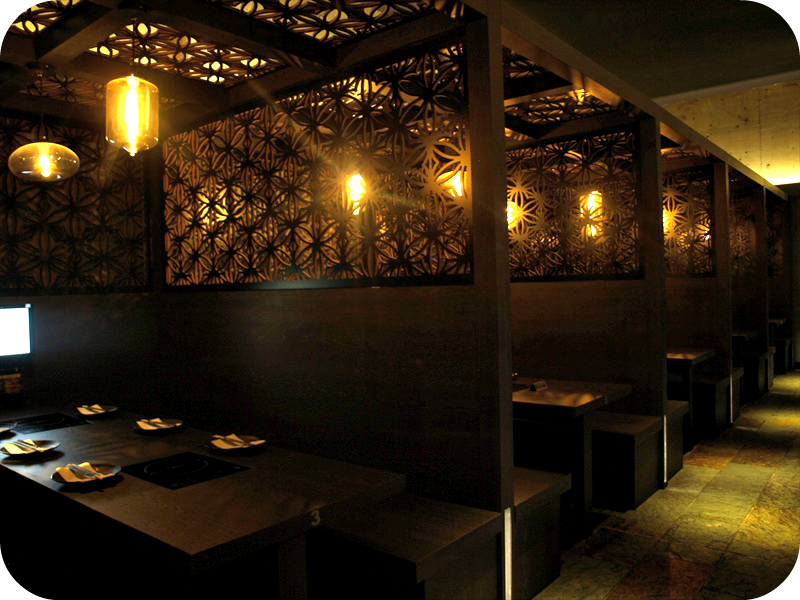 There's the option of open plan seating or booths, which we were offered. Booths great for an intimate dinner for two perhaps on a Monday night to avoid the crowds and noise, or a group anytime. I'm leaning more towards a group as the booths were set up for groups of 4 and 6, the reserved ones. Lighting was great for a date, and you could still see quite well, though I can't say the same for the camera. There was a glare from the ipad screens you use to order, though if they went to sleep in between uses you'd notice the light a lot more. 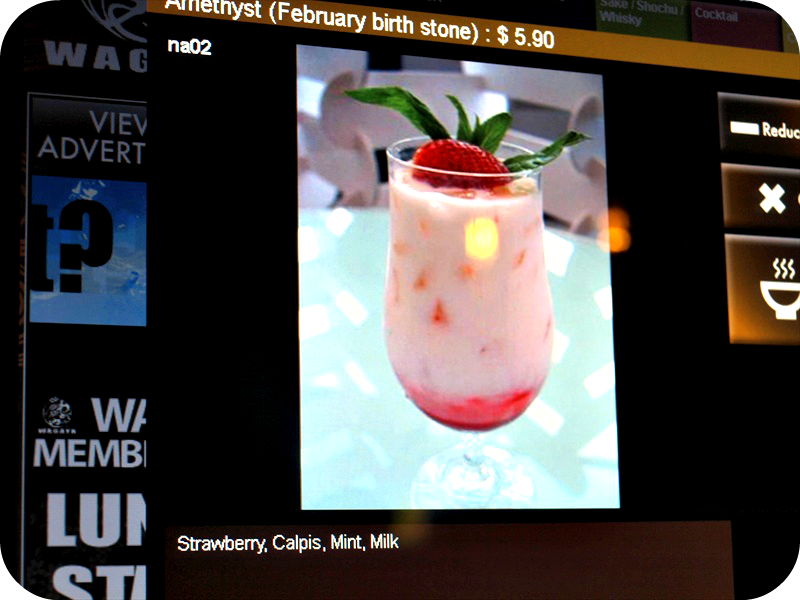 We started with drinks, the Birthstone Drinks looked interesting and so I ordered the pink one (feb) which oddly was Amethyst, because that stone is purple. Rose quartz is the pink one. A refreshing twist on strawberry milk made fun. As that person who ordered a milkshake at the bar I really enjoyed this drink. Calpis/Calpico is a Japanese non-carbonated soft drink it tastes like a yoghurt drink but without the creaminess and more like Yakult. "light, somewhat milky, and slightly acidic flavor" You can buy them for $2.80 in a four pack from Diaso in the fridge. Later on we ordered the Opal from the Birthstone Series $5.90 to get to the $20 eftpos min. 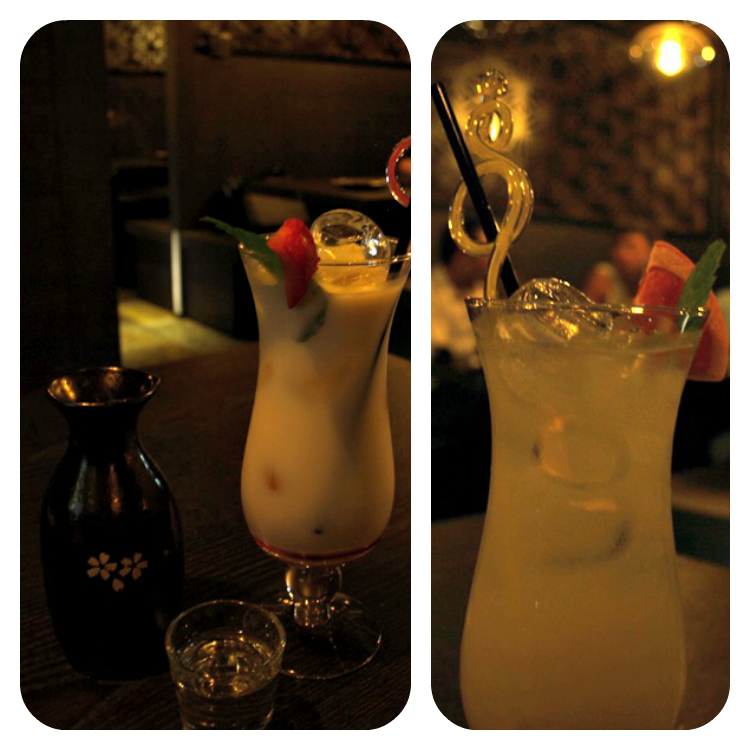 It consisted of Lychee, Calpis, Grapefruit & Tonic. She says it wasn't as good as the Amethyst, the main note was bitter grapefruit, with scents of lychee and the calpis Yakulty aftertaste. But it was flat, basic without the layers of flavours. Everytime we go to a Japanese restaurant Jas orders a sake and this time he had the house sake, like a Western "I had it cold, which probs was not the correct idea, drinkable, I like it but I don't love it" - Jas. This is why I will be editing all his comments. Lets take a moment to admire the menu. Check out those tabs, aren't they perfect, just like my law notes. :P The colours match the ones on the ipad screen that we would use to order. 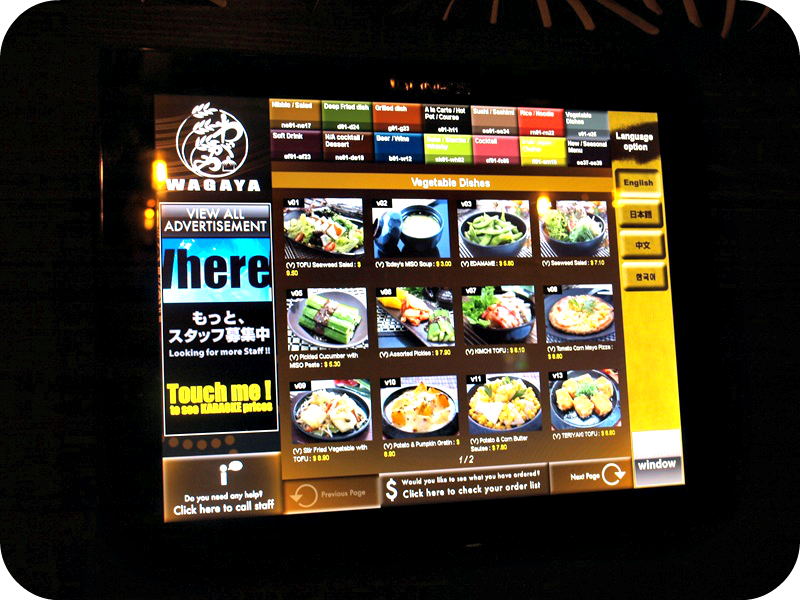 In 2008 Wagayu was one of the first (clarification required) to operate the “Touch panel ordering system” which not many places use. 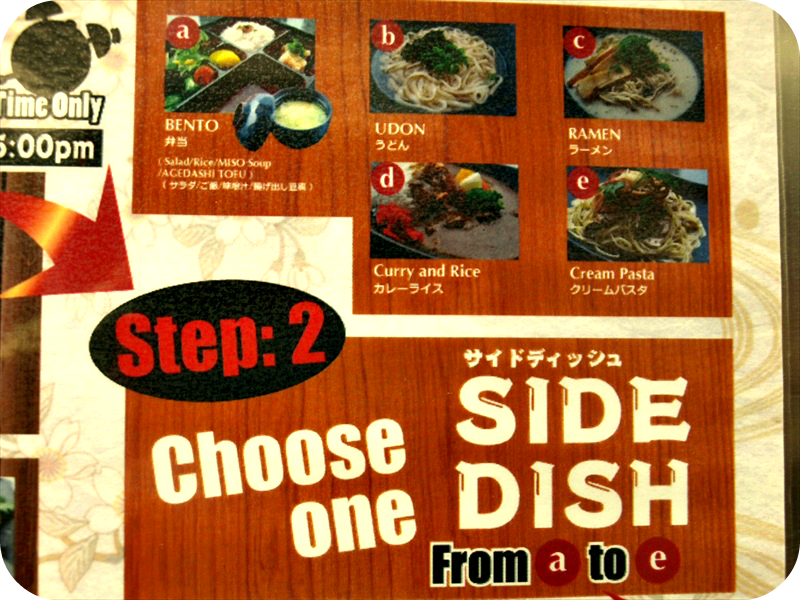 It's a great idea for places were the ordering process is progressive, in that you order one dish after the other instead of your 3 step entree, main, dessert style. 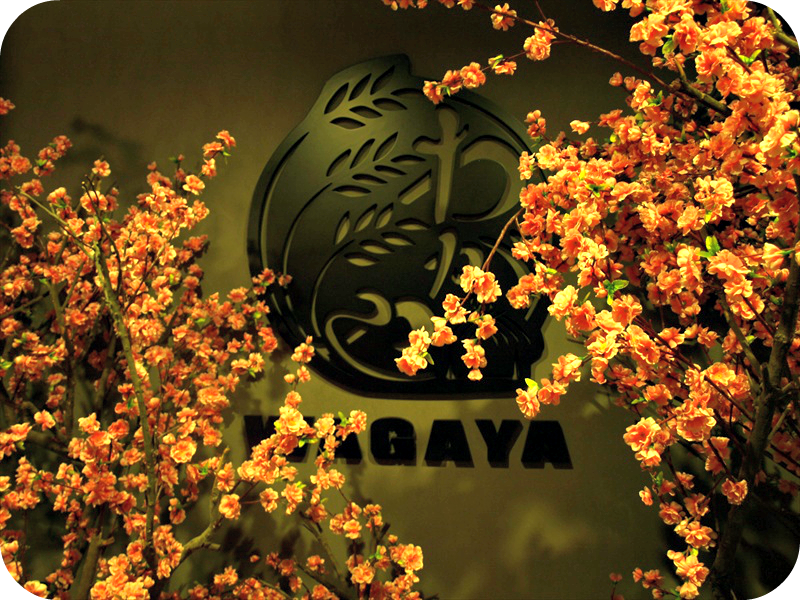 Wagaya is part of the 'Yes Food Group', a series of Japanese restaurants, including the Sushi Hotaru, and so you'd find some similarities between them, for example the ipad ordering system, karaage chicken and miso soup. Some of the drinks/dishes aren't explained in the book though Judy showed us the descriptions on the onscreen menu. The menu is huge! All 12 pages of it. You can view it online, but not the drinks menu, and there aren't any descriptions. 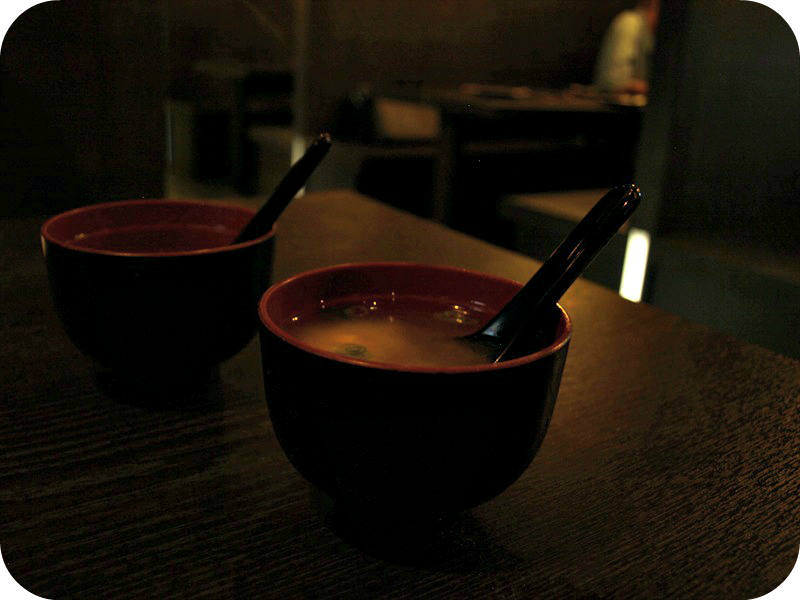 We love miso and so always order it. This one was just right (not a code word for average, that's more like when we say something was good and no further comments) and not too salty. With cubes of tofu and seaweed. Jas said it was very flavorsome, and had carrot and bean shoots in it, which wasn't in mine, at least not the shoots. From this angle it looks like a bowl, but if you scroll up to the first it's a cup, perfect for drinking. Jas says the dragon roll, pricier than most of the other sushi was well worth it as it was delicious. 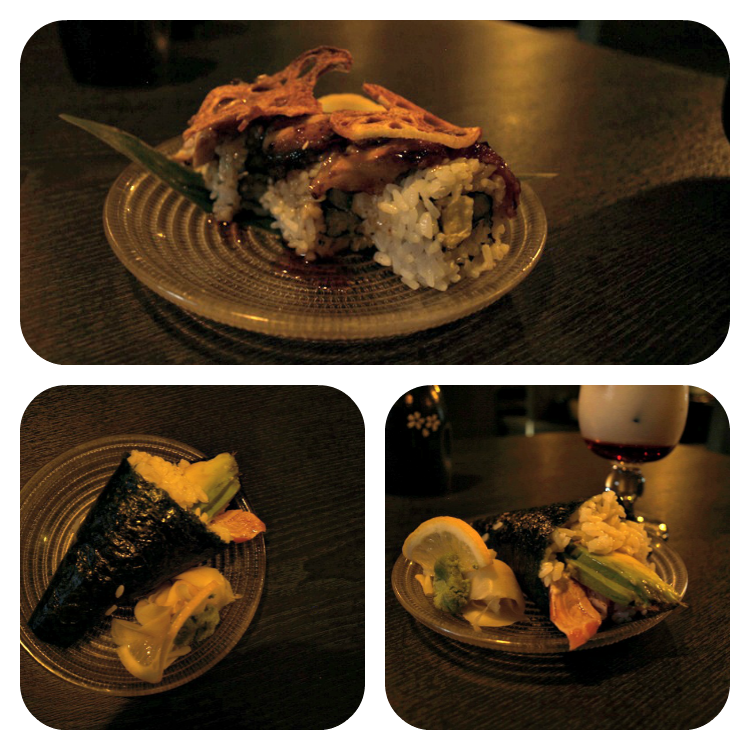 A sushi roll with cucumber and a bit of cream cheese in it and a piece of smoked fish on the top. Fernando would like to reword this part as "Jas says the dragon roll, pricier than most of the other sushi, was well worth the extra cost, stating it was 'simply delicious' and would have it again in a heartbeat." (I modified his words to be not a 12 year old) - Fernando aka My Grammar & Spell Checker. Meanwhile I had the Salmon handroll. Seared salmon lies somewhere between cooked and not (sashimi) think of it as lightly grilled. Salmon, avocado, sauce and rice wrapped in seaweed wrap. It was average, but it wasn't bland. Though the seaweed was a bit tougher to bite off than usual. I wouldn't recommend this. 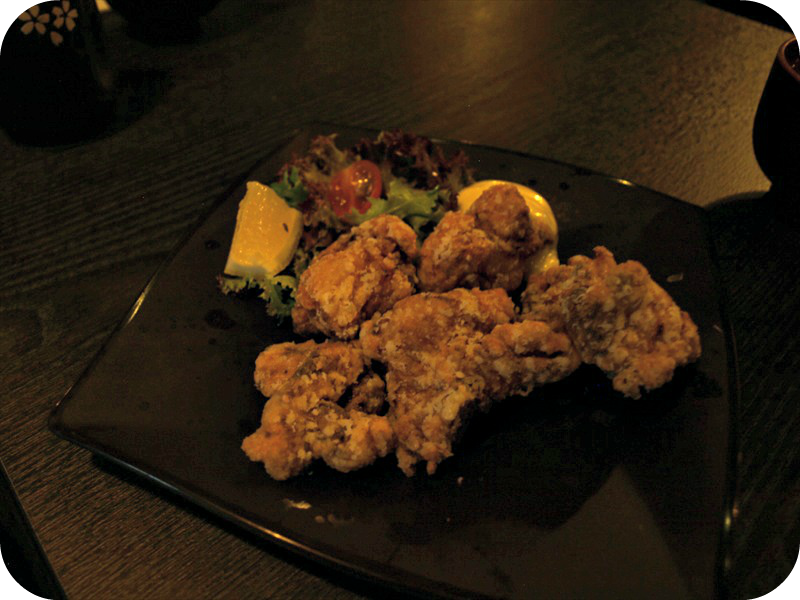 Everyone loves chicken, and there's nothing better than deep fried chicken thigh! Served with a dollop of Kewpie (a brand) Mayo and lettuce this one was good. She says it's slightly above average, not too oily but just right. He says excellently cooked, very moist chicken without being oily and thin crunchy batter was nice. I'm biased as I prefer my chicken battered, but I would recommend this as part of essential Japanese entrees. Next up was an assorted set of skewers. The chicken was average, not dry which was good, and the salmon was very good though a bit dry in terms of the seasoning, needs more marinade or a dipping sauce. He said the ox tongue which he was so looking forwards to was ok but a bit chewy and a little weak in flavour, while the prawn was delicious but exactly what you'd expect from a grilled prawn, lacking a special something. 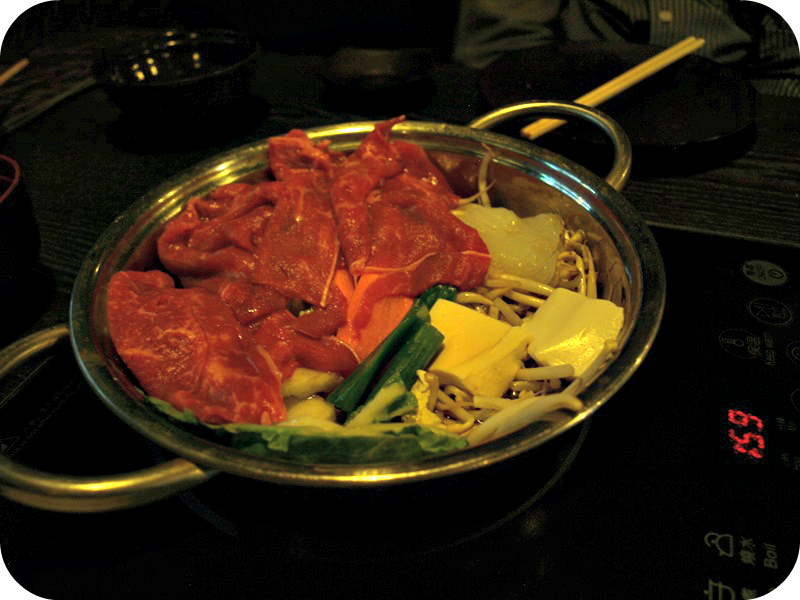 For our main we shared a hotpot, delivered fresh and cooked over the hotpot station on the table. The beef was very good, though the soy based soup was a bit salty. But it was designed to good with noodles (udon) to balance it out. The beef was quite good. He says the meat and the veggies were all nice but the liquid was far too strong and salty to have very much of. Unlike most Japanese places the dessert menu here varies quite a lot, from your vanilla, standard desserts that your fussy toddler would pick, to dishes with a Japanese influence. Though for us you can't order chocolate cake at a Japanese restaurant. It should suit the theme. 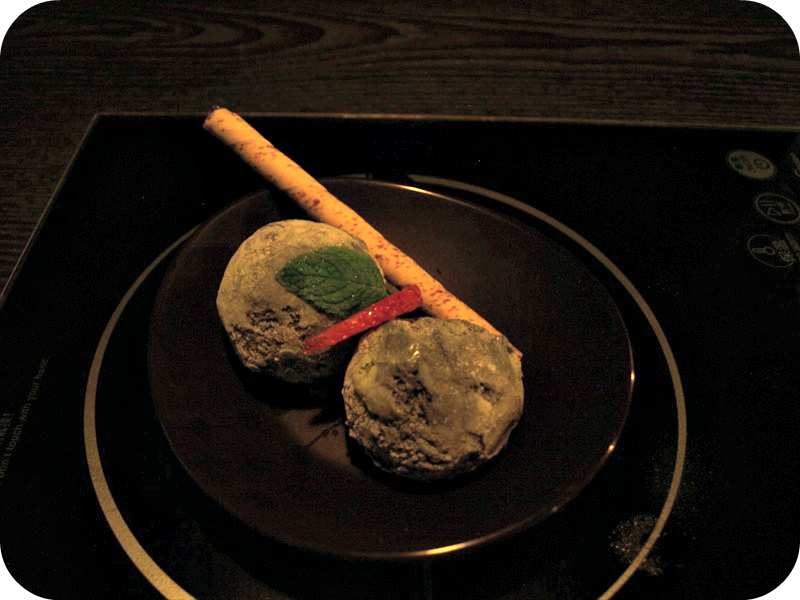 And so we ordered green tea cheesecake and black sesame ice cream. I've only had black sesame ice cream from three places and this one was unlike any other. It was icy rather than creamy, with no presence of seeds, and it was not nutty. It was different. I prefer the nutty one though. Someone suggested that one would be great with steak. With a dollop of freshly whipped cream (not in the picture in the menu because it's behind the cake). The cream was fresh, not canned, was paired with the cheesecake. The cheesecake was disappointing, as it was bland and dry. It maybe green but there was no green tea in it. Which served a contrast to the green tea ice cream, more like matcha, with lots of flavour but without being too strong. He says matcha ice cream was sweeter than the normal matcha (he means green tea). 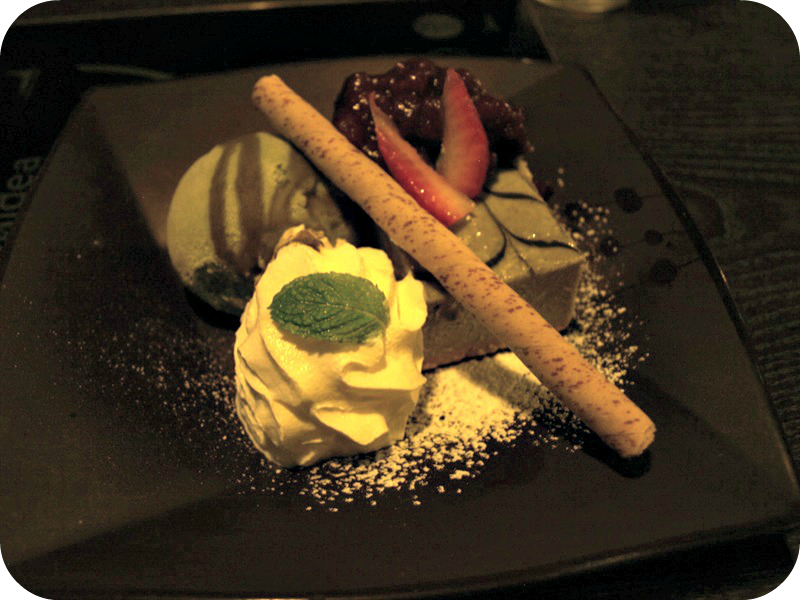 And the green tea cheesecake was rather bland, but had a very nice texture. We should note here that Matcha is a type of green tea, and to me I use it to describe a stronger green tea flavour. 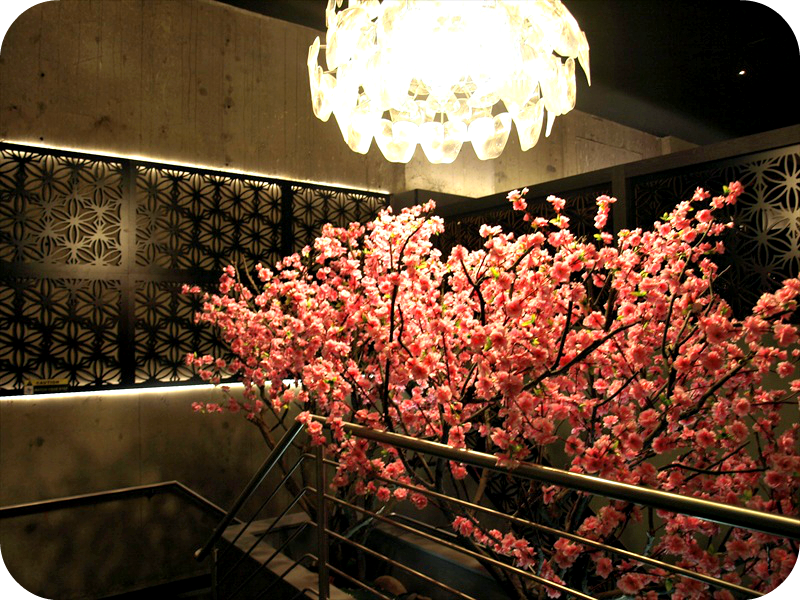 The design of the restaurant with the contrast of bright cherry blossoms trees and that dark cherrywood used for tables booth had a traditional Japanese inspired. Overall we had a great night, and sampled many different dishes with a highlight on the Amethyst Drink, Karrage Chicken and Dessert. The bill came to $90, making it $45 a person which is much more than I'd normally pay for a meal out, which may/not include drinks. As we dinned as guests of SD Marketing Global & Wagaya, we were offered $70 credit to spend on the night, and so only paid the $20 difference. Service was good though I noticed that we have a couple of different waiters throughout the evening and meet the entire waiters team by the end of the night, due to a hiccup. Service was very fast, even when they go busy and it was loud. 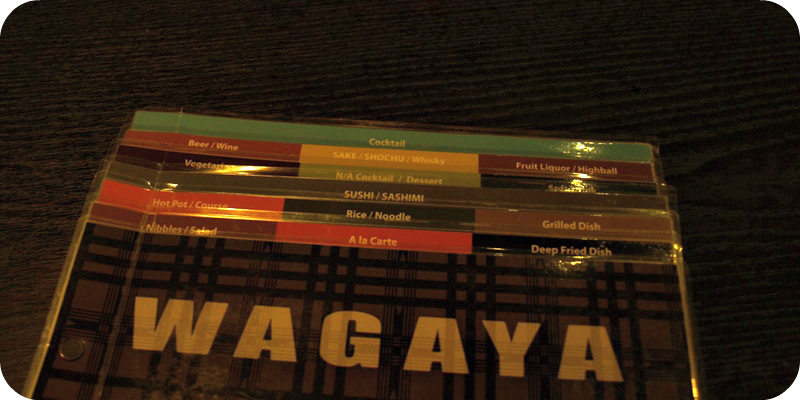 On prices it's pricier than your average Japanese place but we'd recommend Wagaya for dates and group dinners, they have karaoke too! Especially if you get a hot pot and ad ons to share. 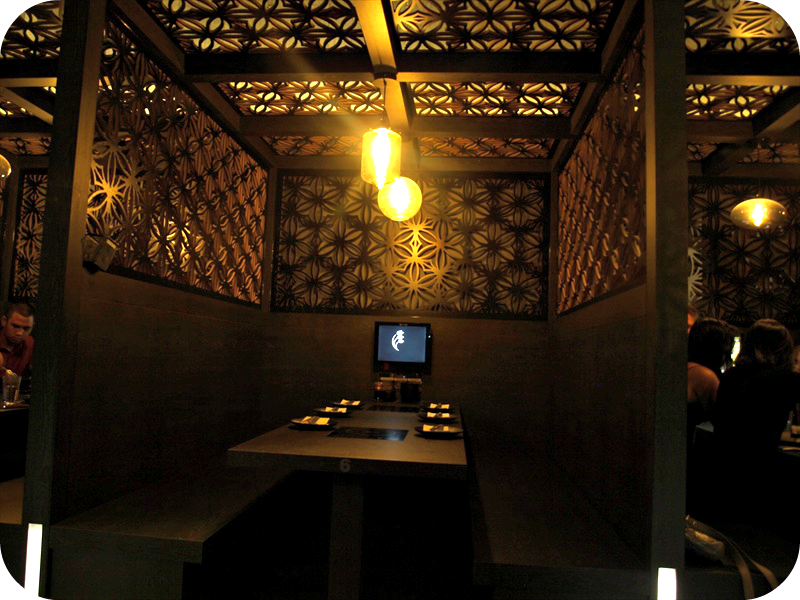 It'll be a great experience especially with the secret location of the restaurant. 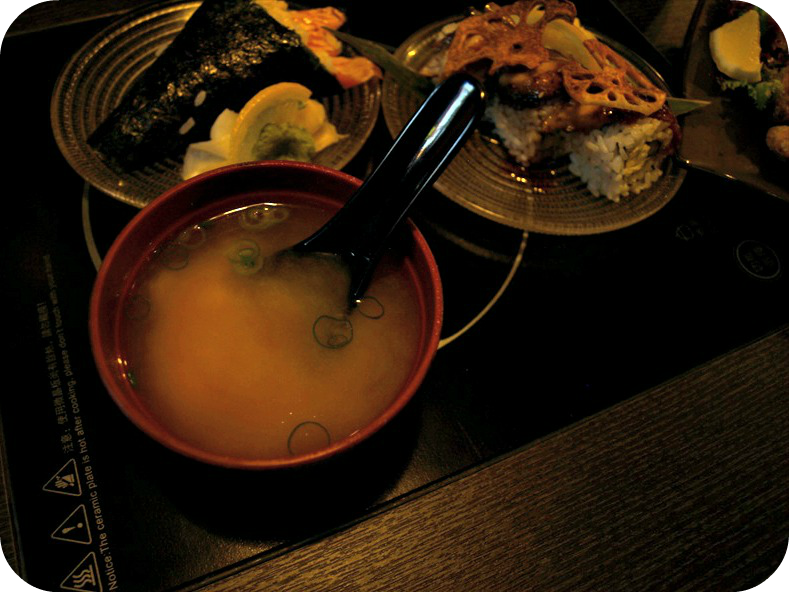 If you're after a quick meal and prefer bar seat, or you're just after miso soup and karaage chicken then go to Sushi Hotaru. But do know that they often have long waiting lines, if you go around lunch/dinner even at 3pm of a weekend. Wagaya has no lines and a lunch special. 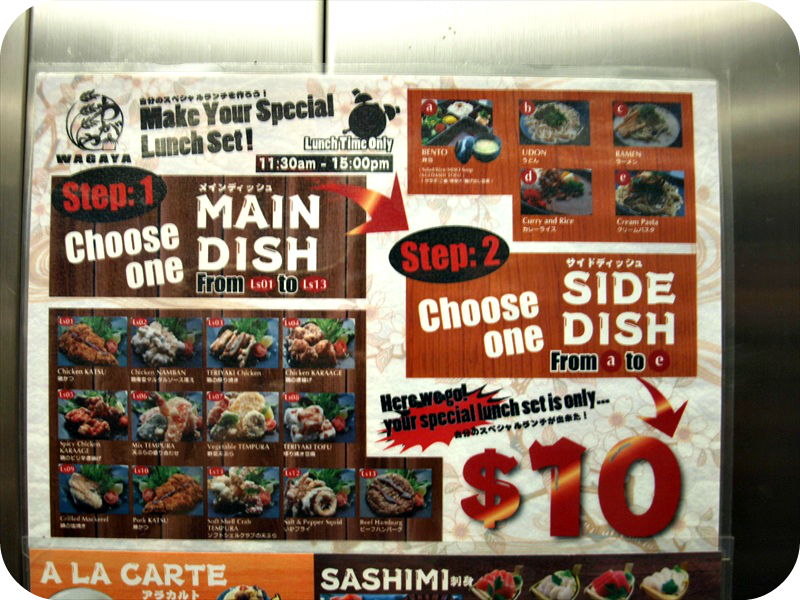 Note - The kitchen closes about 30mins before they close, so the latest lunch would be 2.20-ish for the last order. And they don't do take-away. Will we be back? Yes, for the lunch special! 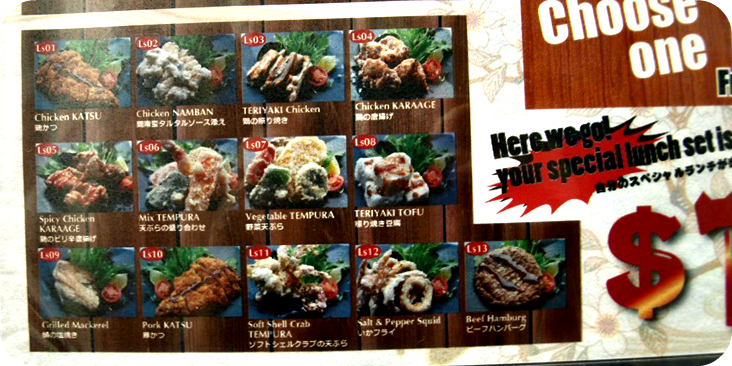 This is the lunch special, I'd like to get the karaage bento. Now for the walk through. 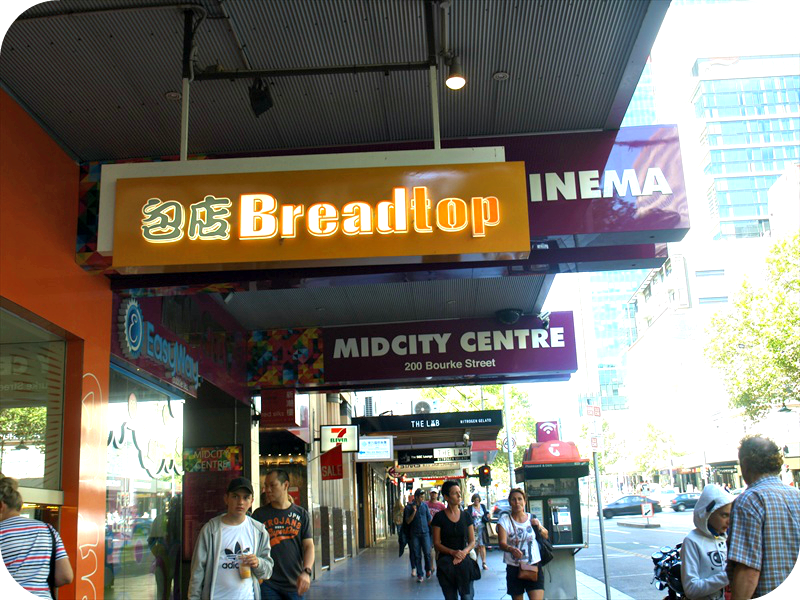 Wagaya is located in the MidCity Center next to Breadtop if you're coming from Swanston, it's on the left side, same side as Target. 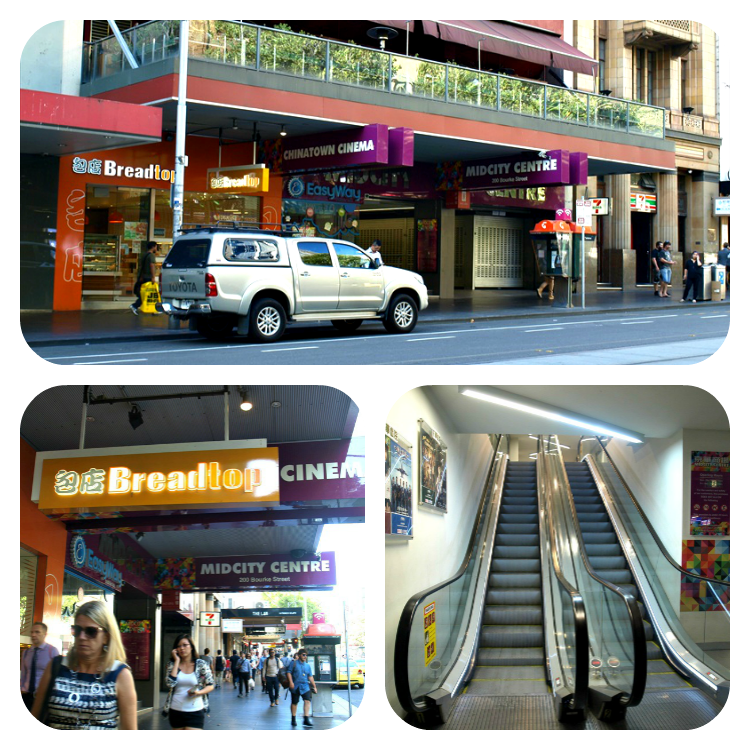 Go up the escalator. 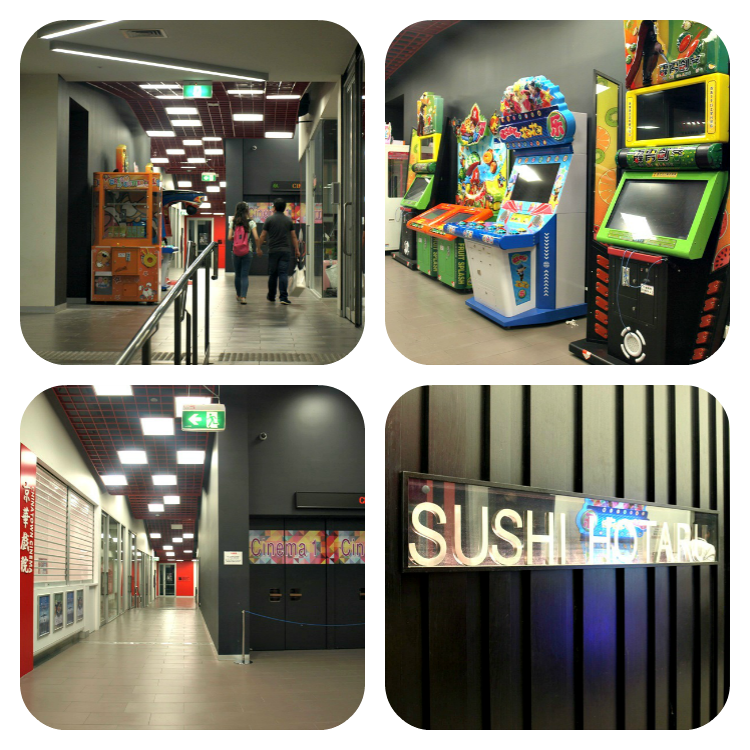 Go down the hallway, past the Chinese Movie Theatre & Sushi Hotaru. And the end of the hallway there's a lift, go up. 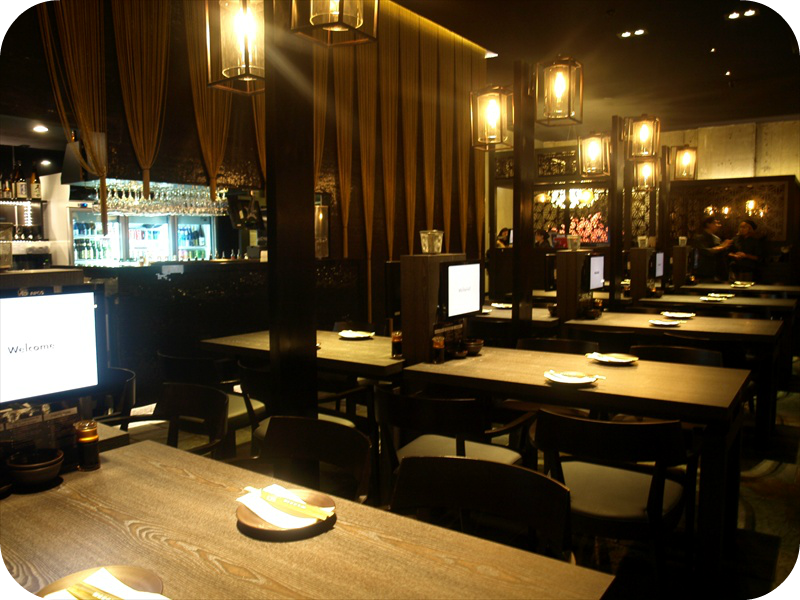 Have you been to Wagaya or Sushi Hotaru? Any recommendations for secret location restaurants or hotpots?